Available in vinyl, aluminum or composite, our custom built handrails offer safety, security, and improved aesthetics. Our team members will be able to look at your patio and/or steps and be able to suggest a solution that delivers the safety and beauty you are looking for. 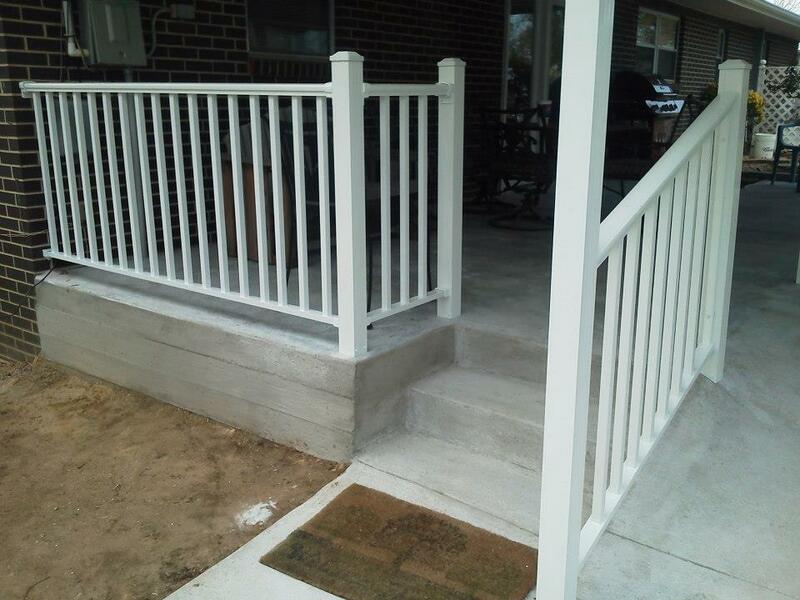 Whether you need new handrails on your front porch or if you need fencing around your pool, the experts on Hathcock Home Services are here to help!